When Nicolas Cage and John Travolta, two of Hollywood’s magnetic actors decided to swap themselves for 'Faceoff', no one expected the movie to go on as a blockbuster, but it turned out to be the best of their works. 'Bogan' is heavily inspired from Faceoff but tries to break free locally with the lead characters competing against each other on the screen as rivals and in respective acting too. Jayam Ravi and Arvind Swamy’s chemistry is certainly something to watch out for after the runaway hit 'ThaniOruvan'. Two contrasting personalities come face to face in a deadly duel just like their previous flick and who gets the better out of each other becomes the cream of the plot and it just deepens their enmity and keeps the screenplay engaging enough. You have seen this scene already, Arvind Swamy swags his way around with an impeccable confidence, his body language enough to say that the badass has arrived. Only this time he tricks his way inside people’s minds and goes on a looting spree. The sluggish arrogance is something which Arvind Swamy can boast off, as a modern day thug who knows mystic ways to swap his soul, he steals the show all the way and makes us wonder where this guy was all these years. After establishing his character, the plot shoots off to become the typical Tamil movie with an action packed cop (Jayam Ravi) who falls in love with a beautiful lass (Hansika), but kudos to the director on getting this part over with and moving to the engaging part of the script. 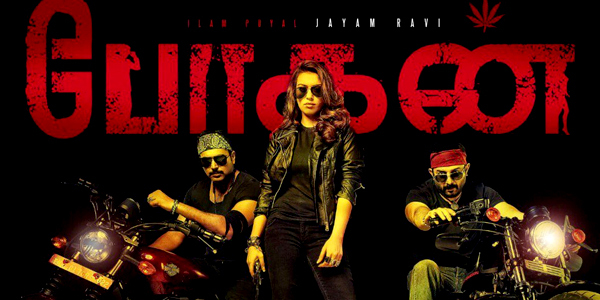 Keeping the spoilers to minimum, screenplay of 'Bogan’ is a fitting duel between two varying personalities; one a straightforward smart cop with an adorable family, the other a badass crook who uses mystic forces to live a king size life. The director has a strong concept in his mind “What happens when an unstoppable force meets an immovable object?” two repelling forces collide and try to outsmart each other. 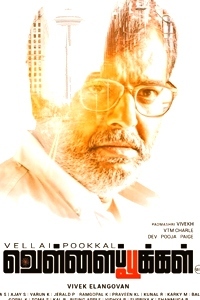 To drive this point of view he takes time to establish the mannerism of Arvind swamy for they switch roles in the second half, however does not do enough justice to add unique body language characteristics to Jayam Ravi. As much as they try to outsmart each other the movie has its own trouble in dealing with logical issues but some powerful acting from both the lead actors shoo away tiny technical errors. Jayam Ravi has done his homework enough and is evident on the screen with his onscreen imitation of Arvind Swamy as they switch roles and pick the action in second half. Ravi has come a long way since being just the chocolate boy and his hard work has simply done wonders. Hansika’s character is limited, but the bubbly actress does her part of a caring lover with ease. The movie could have been tad shorter, even though the enmity is established the plot goes on in the same fashion making us look for a different approach after a point. 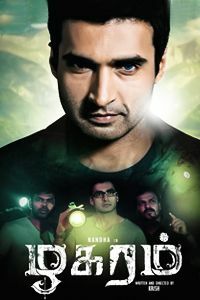 Many of the scenes have been inspired from Hollywood flicks, the director’s efforts to make the screenplay quick is certainly another key element. Imman’s background score keeps the audience on their toes although apart from 'Dammal Dumeel' other songs are just passable. Soundar’s camera work is colorful and is evident through the 'Senthoora' song. Art work is quite ordinary and leaves a feeling of could have been better. The film largely works on the chemistry of Arvind Swami and Jayam Ravi, the enigma they carried in 'Thanioruvan' is back in a different format and they compete out to make the plot very entertaining. Lakshman’s screenplay is the key for its racy nature. Some of the cliché love scenes and average dialogues hinder the film’s pace but again they get shadowed by the lead cast’s performance. Verdict : Bogan is a fitting duel between two varying personalities; one a straightforward smart cop and the other a badass crook who uses mystic forces to live a king size life. Rides high on Arvind Swami and Jayam Ravi’s performances.